“Bzzzzz” … “plop”– and look! 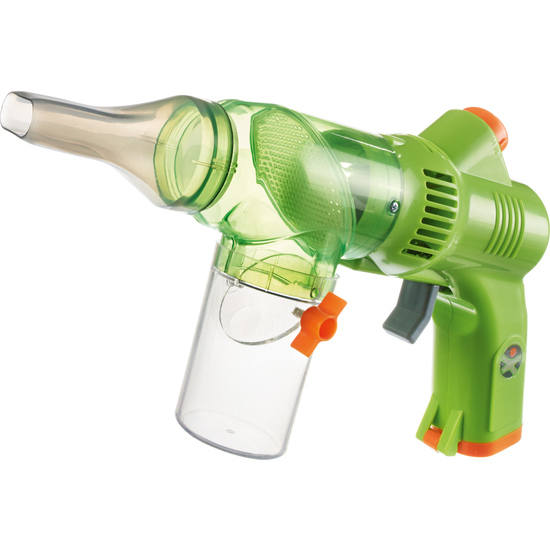 Flies, spiders, ants and related creatures are collected with the Terra Kids Insect extractor. To keep the little creatures from escaping, simply turn the twist lid on the collecting container. Now children can quietly observe their research objects before setting them free again. Run by batteries. Comprises 3 different extracting levels.